Shingles is a painful skin condition resulting from a reactivation of an infection and is a secondary outbreak of virus. Once you catch chicken pox, the virus remains dormant in your body and continues to secretly lurk in your body. Cool bath can help ease the pain and uncomfortableness of shingles. It can abate the level of itching and pain in affected areas. Soak in the water for 10-15 minutes and then dry yourself off completely with a cotton towel. But make sure the water is not too cold. Your skin will react if the temperature is too low, causing even more pain. It is recommended to wash the towel with hot water to prevent spreading the virus. Wet compress works in the same way as a cool bath does and would feel great on skin. It would help to ease itching and pain caused by rashes. Soak a towel with cool water. Wring out the water and apply the compress to shingles blisters for few minutes. Repeat it to renew the feeling. Do not use ice on rashes. They are too cold for your skin in shingles. Again, do not reuse the towel used for your rash to prevent passing on the virus to others. s can be irritating and cause discomfort. Use soothing lotions only on the affected area such as calamine lotion after wet compress. As the wet solution fades from skin, it also draws moisture from the rashes. Always wash your hand after applying lotion else virus can be transmitted to another person. Herbs contain many constituents, many of which are found to be effective against the herpes viruses.Few herbs are excellent remedies for shingles and should be included in your diet as much as possible. These herbs include Reishi mushrooms, licorice root, lemon balm and passion flower. These herbs are antiviral and stimulate the immune system. Mushrooms are loaded with vitamin B5. Health experts highly recommend intake of vitamin B5 for relieving shingles. 500 milligrams of these extracts three times day can help fight shingles. Manuka honey has strong antiviral properties and is one of the little-known heroes for treating shingles. 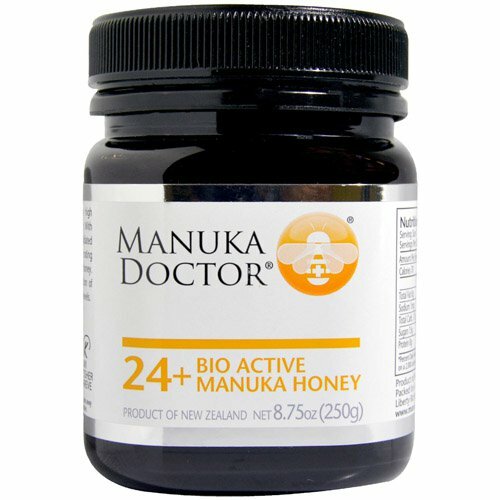 It sets off a natural non-peroxide antibacterial activity, particularly to few strains of manuka honey only. Manuka honey has wellness properties and has been used for centuries as a home treatment for shingles. You need to apply some honey directly to the rash. Apply at least 4-5 times a day, better if more as the concept is to keep it continuously bathed in honey. It’s easier said than done. But getting rid of stress is one of the most important things one can do to boost their immune system. Stress can reduce the body’s capability to fight off the virus. For persistent uneasiness from shingles, consider learning self-hypnosis or engaging in activities that can help you relax. Yoga, exercise and meditation can be great stress relievers for shingles and contribute to your overall well-being and staying healthy. If home treatment doesn’t help ease shingles pain, consult your doctor.